Do you have a puppy with a penchant for relentless barking? Or maybe you want to train your dog to stay in the yard? Whatever has made you consider an electronic dog collar, this article is going to outline the electronic dog collar training pros and cons. Therefore, you will be well-informed to make the best possible decision for you and your pup. These little devices, also called remote training collars, e-collars, or shock collars are the source of a lot of emotional arguments. As with most methods of modifying your dog's behavior, there are benefits and disadvantages to using electronic collars. In the end, it's up to you which method or training device you choose to go with. We are going to lay out the facts. And remember, facts aren't always convenient or balanced between the two sides. How Does an Electronic Dog Collar Work? Electronic collars are used by trainers and dog owners to curb a variety of unwanted behavior in dogs such as incessant barking and food aggression. They can also be used to train dogs to stay close by whenever they are not on the leash or to keep safely within the confines of the property line. These devices are not meant to be a punishment, but rather a deterrent to condition stubborn, unsafe, or negative behavior out of a dog. In theory, your dog will learn to associate the unwanted behaviors with the uncomfortable static shock and in time the dog will no longer require the reminder. Are Electronic Dog Collars Safe? Approved electronic dog collars are supposedly safe. This means that while the shock delivered is enough to get your pet's attention and help stop unwanted behavior, it's not sufficient to do any permanent physical harm. A lot of electronic collars today actually have several levels of enforcement, allowing you to reprimand the dog accordingly. Some collars may administer a warning in the form of a beep or vibration before the actual shock. This also allows you to give a verbal command at the same time to further disrupt the bad behavior. We've put together all the electronic dog collar training pros and cons that we think everyone should consider carefully before purchasing and using one of these devices. Most electronic collars these days come with the flexibility of a vibration or beep warning before administering the shock to your pet. They also have settings that you can easily adjust to only deliver a mild shock. This may provide some sort of comfort to those who are on the fence about using electronic collars. Other collars like the spray collars aren't as adjustable. Oftentimes, it only takes a few shocks to alter and improve a dog's stubborn or unwanted behavior. Afterward, the vibration or beep is enough warning. Electronic dog collars are also very effective if you want to keep your pet safe inside the property boundaries while still affording them their freedom to romp around. Of course, the results may vary depending on the temperament of the dog. The ones that are more stubborn may take a little longer to train. With electronic dog collars, you can continue training your dog even when you're away from home. For instance, if you have neighbors who complain about your dog's loud barking when you're out, electronic collars for barking can come in handy. The same applies to electronic collars that are used for boundary control. When considering the alternatives such as dog trainers or putting up fences, electronic dog collars can be much less expensive. The price depends on the features that you want such as adjustable warning/shock intensity, remote control, and the distance range which is usually between 30 and 400 yards. A lot of pet parents just can't imagine hurting their dogs on purpose. Even with the power to control the level of the static shock delivered to the dog, you are still using averse means of modifying behavior. This type of negative reinforcement is one that many trainers and pet owners are moving away from in favor of positive reinforcement or rewards as a method of modifying behavior. You never want to train a dog with fear because fear in dogs can be extremely dangerous. Shock training may teach some dogs to fear certain objects, people, or situations that they associate with that 'thing' around their neck. If you're not always around to control when shocks are administered to your dog by electric fences or automatic bark collars, these electronic devices may shock your dog too often or unintentionally. For instance, barking collars aren't always accurate and they may pick up a sound that is totally unrelated and punish your dog for it. The unnecessary shocks may confuse your dog and lead them to 'correct' a problem that wasn't there to begin with. 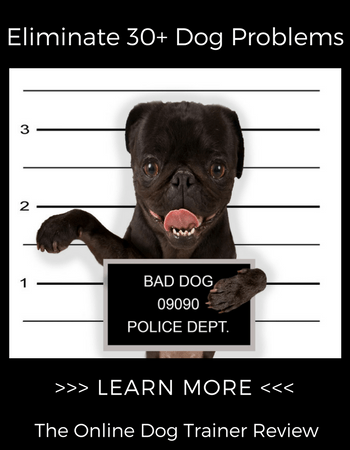 Electronic dog collars don't provide reinforcement of good behavior such as your verbal approval or affection does. Any kind of training should reinforce good behavior with some kind of a reward such as a tasty treat or play time. The collar will stop the unwanted behavior such as the unnecessary barking, running after the mailman, or jumping up on visitors but it won't reward good behavior such as obeying a command to stay and sitting patiently. Whichever training method you decide to use, just remember that the main purpose is to help your dog. Whether you want to help him stay out of harm's way or to train him to stop barking for no reason. If you should choose to use an electronic collar, just make sure that you've understood all the electronic dog collar training pros and cons outlined in this article. Not sure what size to get or how to proceed? 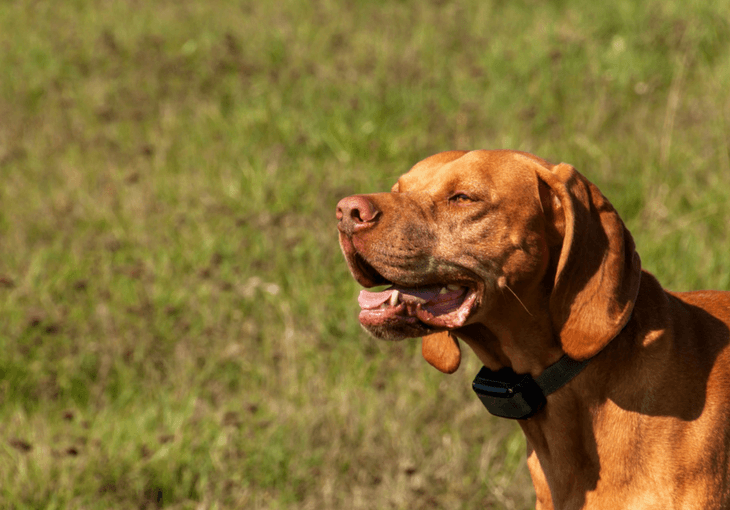 Check out our detailed guide to help you pick the best electronic dog collar for your needs.